The Angle of Attack Vane Cover R/C-AOAC-2 is a flame resistant protective cover that eliminates potential vane damage on the Angle of Attack (AOA) sensor. Captivated screws for easy installation and removal. Non-scratch, heat resistant protective base. The Angle of Attack Vane Cover R/C-AOAC-2SPF is a flame resistant protective cover that eliminates potential vane damage on the Angle of Attack (AOA) sensor. 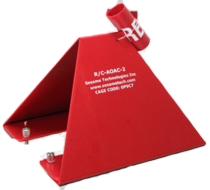 The Angle of Attack Vane Cover R/C-AOAC-2SPSD is a flame resistant protective cover that eliminates potential vane damage on the Angle of Attack (AOA) sensor. 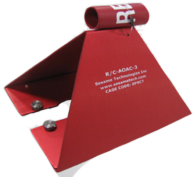 The Angle of Attack Vane Cover R/C-AOAC-3 is a flame resistant protective cover that eliminates potential vane damage on the Angle of Attack (AOA) sensor. 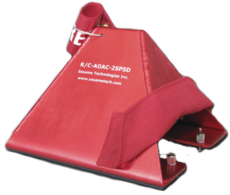 The Angle of Attack Vane Cover R/C-AOAC-4 is a flame resistant protective cover that eliminates potential vane damage on the Angle of Attack (AOA) sensor.